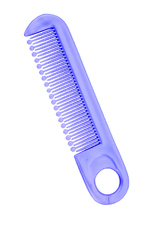 Our company is capable to offer Baby Comb in various patterns. Our offered product is enormously used owing to their best quality. The Baby Comb Sets we provide our customers include a baby comb and is available in different patterns and styles. These are perfectly made to groom baby's first lock without hurting them. - Combs: Designed special rounded teeth not to scratch baby's tender scalp. - Slightly more space between the teeth means less pulling of baby's hair. - Brush: the soft nylon brush of this apple baby have been selected best for brushing baby's hair. This is specially designed born baby hair comb. 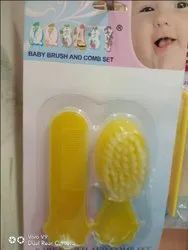 Comb Design is similar Jhonson and Jhonson baby comb.